Joseph Miles is 51 years old, but says he spends a lot of time today thinking about this quote by Winston Churchill because it helps him understand everything that was missing in his own childhood. Miles is incarcerated and serving a life sentence. He is a regular participant and leader in SALT: Schools for Alternative Learning and Transformation, a participatory educational community inside Riverbend Maximum Security Institution in Nashville, Tenn. Many SALT classes include students from local universities coming into the prison to learn alongside students who are residents of Riverbend. Rev. Janet Wolf, a Children’s Defense Fund organizer, is one of SALT’s founders. In a recent workshop Miles joined others in discussing the Adverse Childhood Experiences (ACEs) research, which tracks the impact children’s stressful and traumatic experiences can have on their adult health and opportunity including future violence victimization and perpetration. These experiences are an important public health issue, too often ignored. Many incarcerated students spoke about how difficult it is for any studies to fully capture the trauma and terror that defined many of their childhoods. And as importantly, what if the right resources had been available to help them then? Several shared their stories. This is Miles’ story. As a child Miles tried hard to stay on his best behavior because he thought that might make both parents finally love him. But he says everything changed on Christmas Eve 1980, when he was 13. “My daddy had never given me anything but a hard time, and a promise that I knew he would not keep. Nevertheless, he was promising to buy me a bike for Christmas, a bike that I wanted very much … My mother told me to stop talking about that damn bike because he was not going to get it, but I was so excited about it because he had bought my sister a bike, and I could not stop talking or thinking about my bike, or wait for Christmas Day. I needed to see my bike before I went to sleep.” Miles went to his father’s house to try to peek at the gift he was so sure was waiting — but there was no bike, just his drunk, enraged father. Then Miles’ mother found him walking home distraught. “I got in the back seat of the car and momma said to me, ‘Shut your mother– — mouth!’ I tried my best to stop crying but I could not. We got home and she told me to go to the back room and shut the door … My mother had a club that she carried around in her pocketbook. It was approximately 13 inches long and about 6 inches round at the bottom and it got smaller as you moved up to the top of it; it was shaped like a baseball bat. (How do I remember it so well? That night is forever etched in my mind) … Now, one would have thought this is where my mother would have consoled me as her child, but she attacked me as if I were her enemy. In an instant, Miles’ response to a lifetime of rejection and abuse switched from that of a child desperate to please to a young man determined to harden and protect himself at all costs. It was a life-altering moment — and one that put him on a destructive path for the next 15 years that ended with his incarceration and life sentence at age 28. That was 23 years ago. Miles looks again now at Winston Churchill’s words: “That statement helped me to understand why there was so much trouble in my life as a child. Moral excellence was not taught in the house I was raised in … As a child [I was] beaten by my mother and bullied by my daddy for no other reason than loving my daddy. My parents’ actions left me deeply scarred in my heart. I would carry this pain and suppress it with any and all other adversities that touched my young life. Eventually, that pain would be unleashed on the people in those streets and I would be judged as a bad child, with no one understanding, not even myself understanding that pain that was destroying me from within. How many children’s lives are being destroyed right now without attention and help from any caring adult? How many children face teachers who don’t know their students or stop to explore what they may be experiencing and instead focus only on their behavior, leading them to suspend or expel children from the classroom for days or weeks at a time? 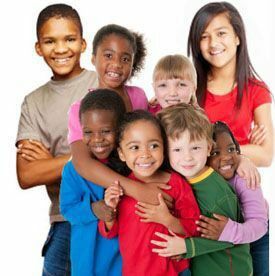 How many social workers or detention staff who welcome new children in their caseloads have the expertise and take the time to look at experiences that brought children into what we at the Children’s Defense Fund call the “Cradle to Prison Pipeline” and then find them the help they need? How many of us as parents see friends of our children who we sense are hurting but don’t ask why or try to get them help? We must never give up on any child. It is never too late. Caring and love are always needed. Marian Wright Edelman is president of the Children’s Defense Fund. For more information, go to www.childrensdefense.org.